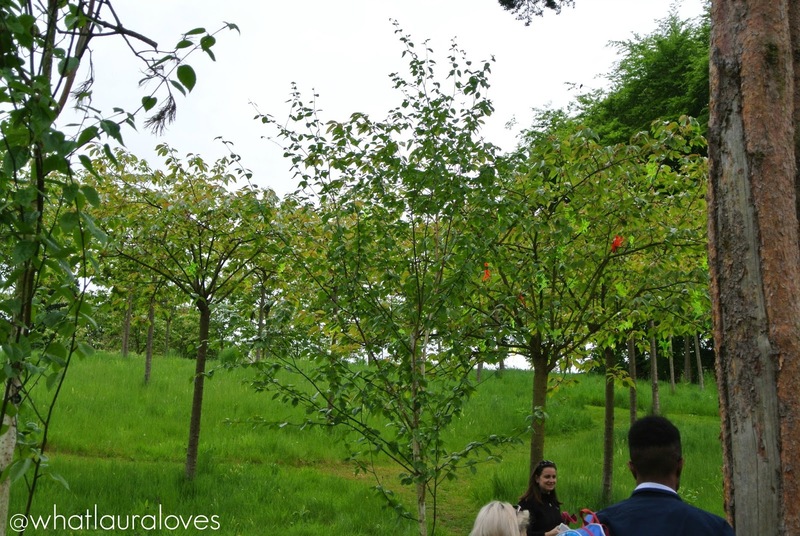 The Alnwick Garden have launched a new fairy tale attraction and this week I was lucky enough to be invited along to see it in all its magical glory. 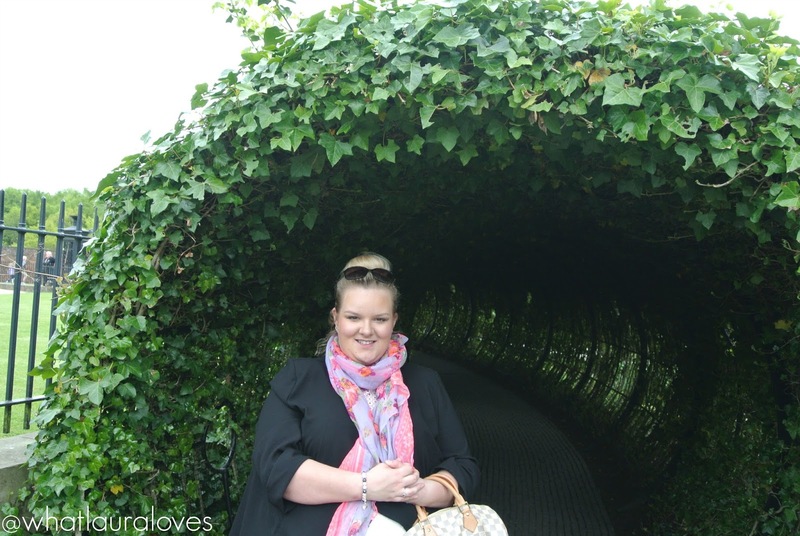 Last summer I visited The Alnwick Garden on a day out with Mr WLL, you might remember the blog post that I published with a review of the garden along with a blooming marvellous outfit post! 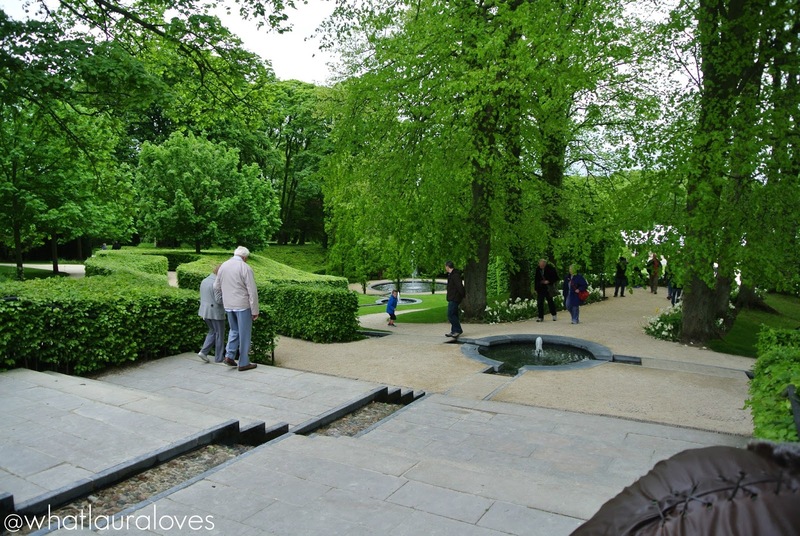 If not, feel free to check it out here as it will give you a feel for what the garden is like in general and before the installation of the fairy tale attraction took place. 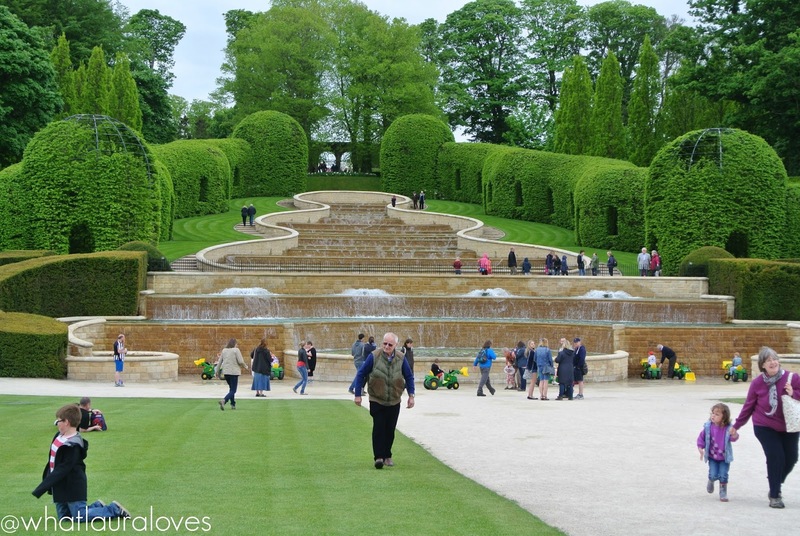 The beautiful Alnwick Garden as it was in my previous post, with its maze, water features and awe inspiring greenery, is still very much there but now it has the added magic of a fairy tale adventure that all of the family can enjoy. 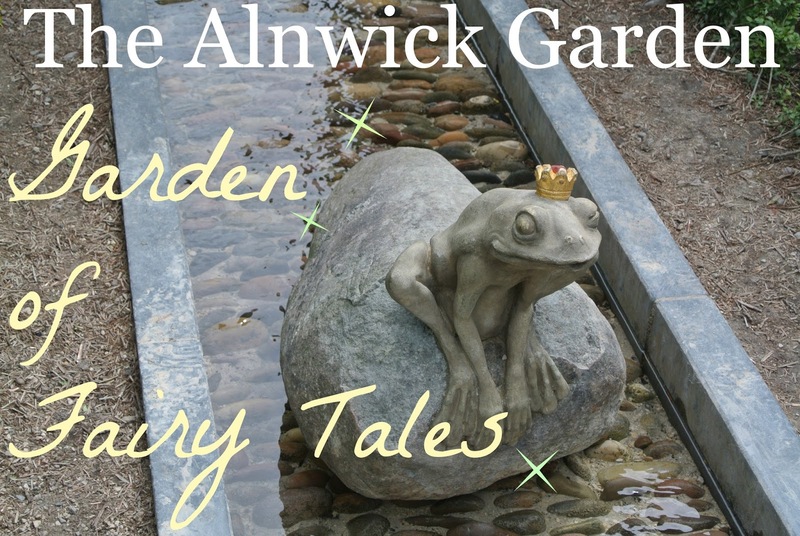 The world renowned landscape of The Alnwick Garden has been transformed into a fairy tale adventure inspired by Grimm’s childhood favourites. 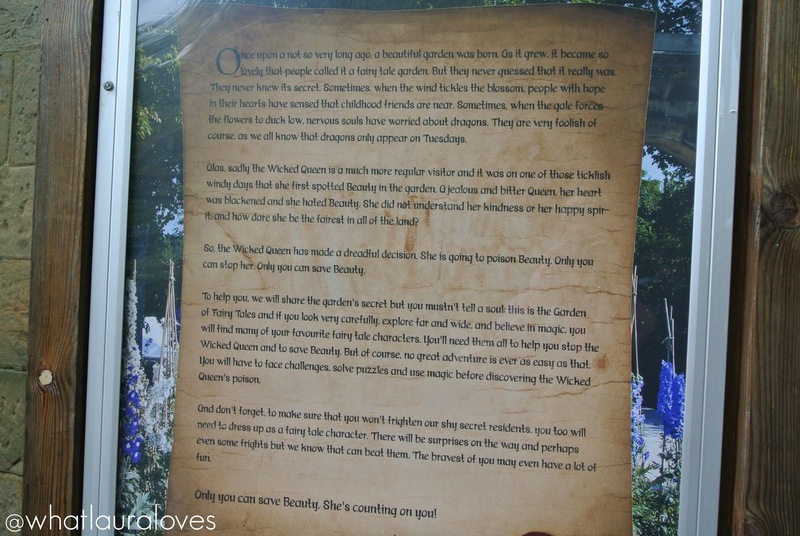 The ideal is that visitors are taken on a magical journey to save Beauty from being poisoned by the The Garden’s evil and Wicked Queen. 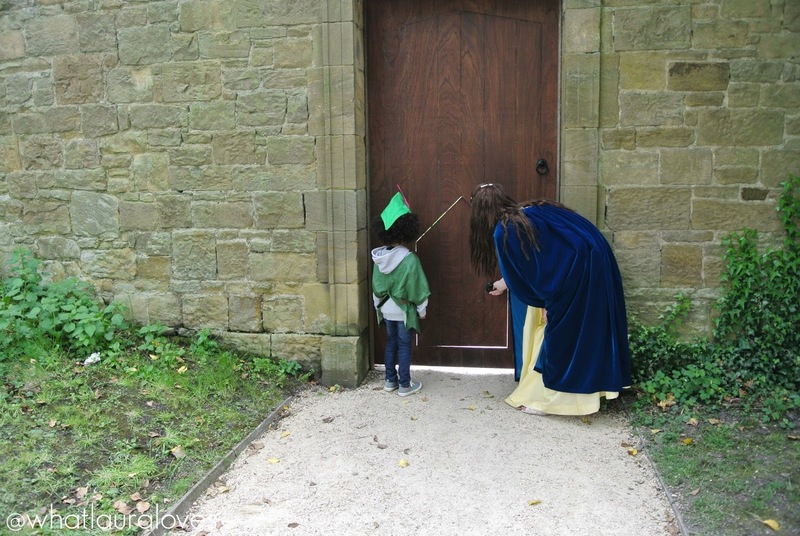 Along the way, live actors and actresses playing fairy tale characters are on hand to greet, guide and in some cases thwart, the visitors quest, including The Big Bad Wolf, The Wicked Queen and The Princess, Beauty. 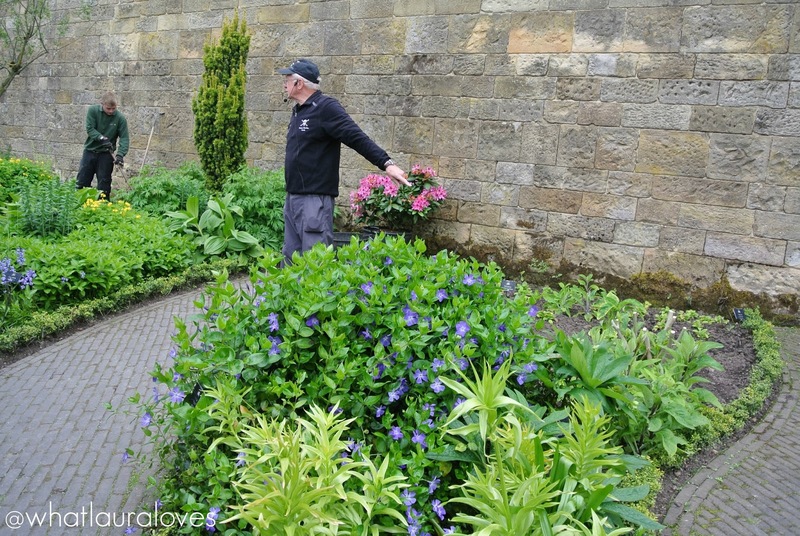 On this particular visit, I returned to the garden with my hubby, excited to see what was going to be unveiled. 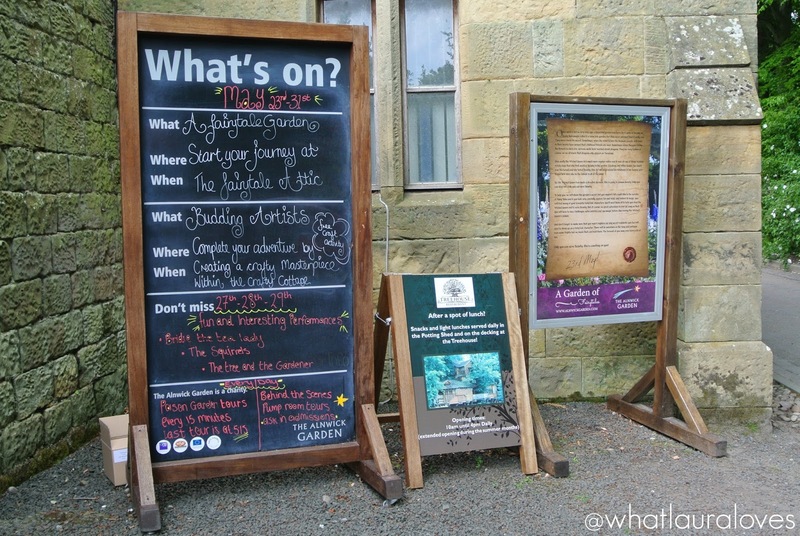 The journey up to Alnwick was easy for us, straight up the A1; it is so accessible and when you’re there, the parking facilities are in abundance and everything is laid out exceptionally well. 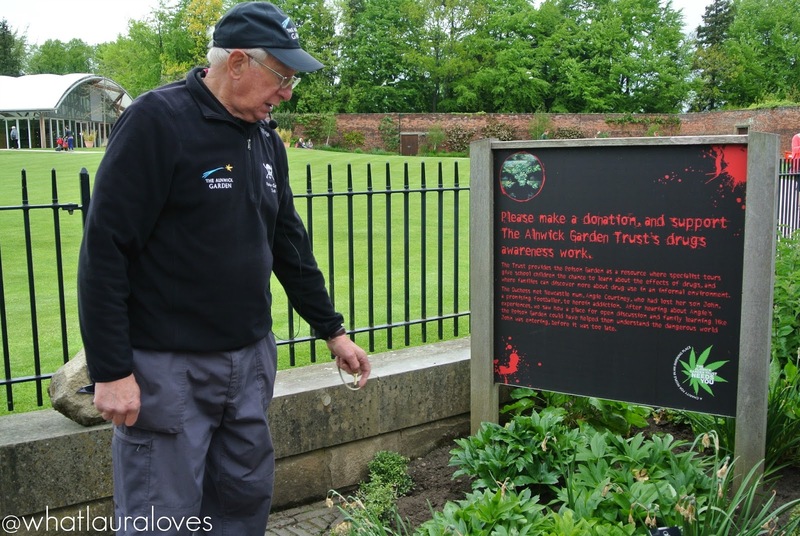 Upon entry to the gardens, we were greeted with an order of the day to let us know what was in store along with the story behind the attraction. 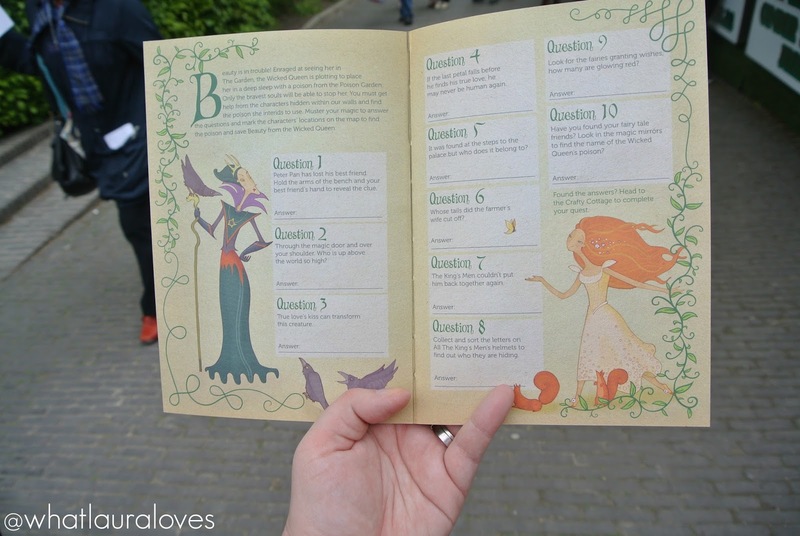 We were also given a booklet that contained a map of The Garden and some questions to answer while going round the attraction. 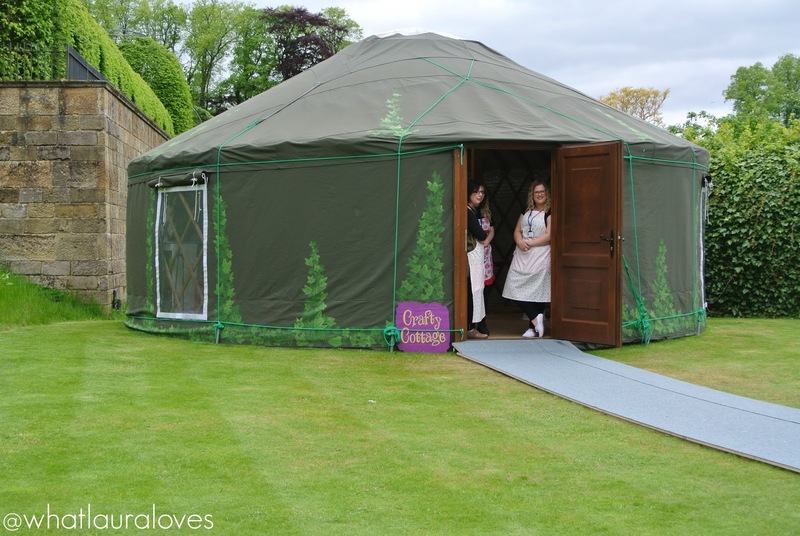 Immediately after stepping into the pavilion, we could sense a real buzz about the place, which was no doubt from the excitement of children and adults alike. 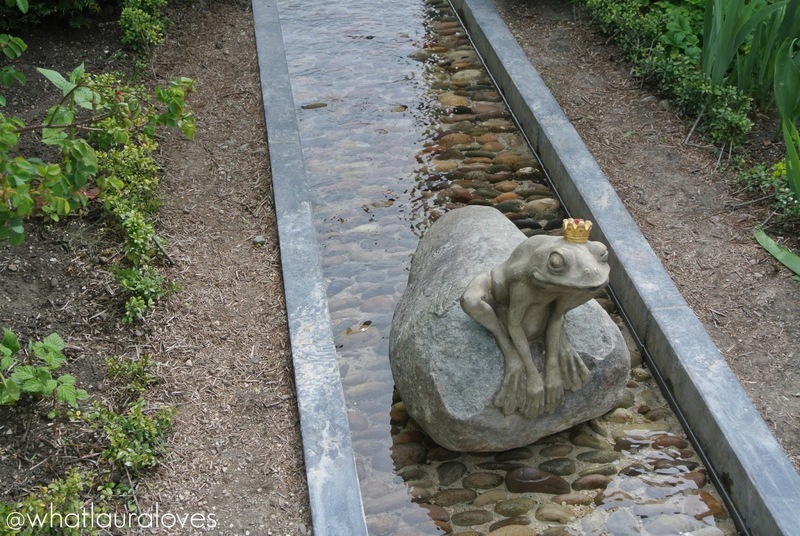 Every where you turn, there is something to see and no stone has been left unturned from magic mirrors to a talking frog prince and a cloud of fairies! 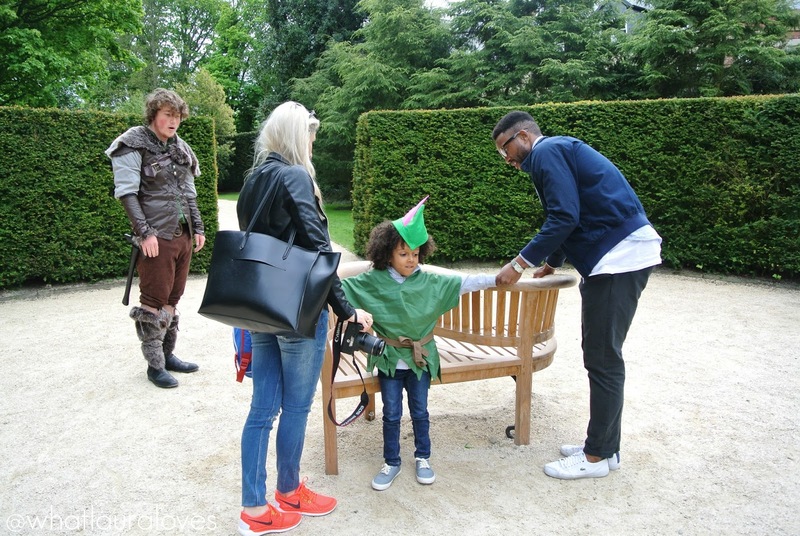 We met up with Carly, her partner and sweet little boy before being joined by The Huntsman to begin our journey around the Garden. 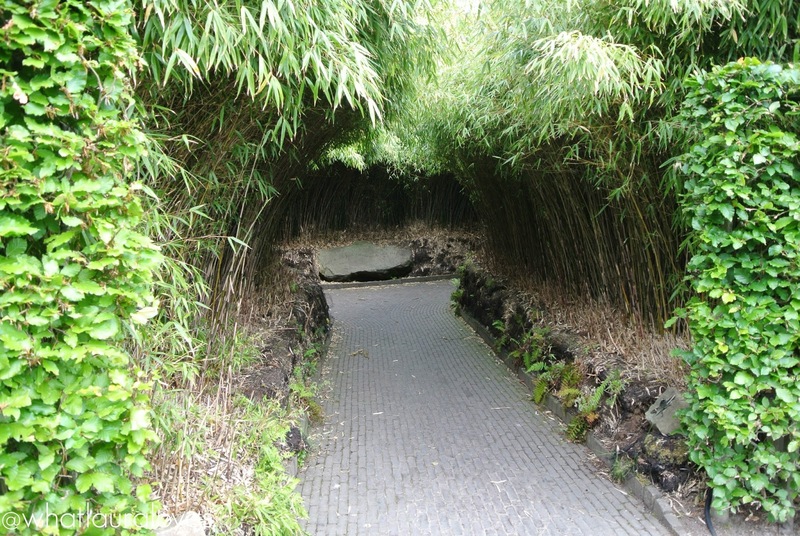 First stop was at the maze before we headed up to the Fairy Tale Attic where our adventure really began. 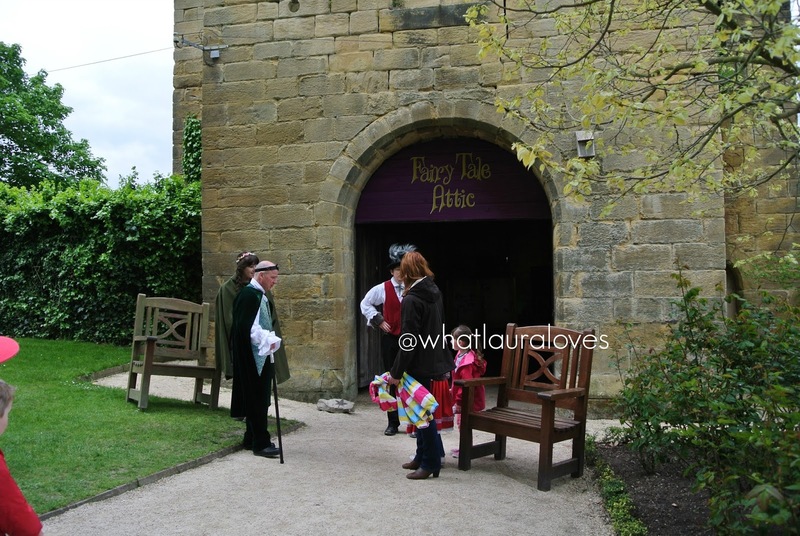 The Fairy Tale Attic is where children can dress up in a fairy tale outfit provided by The Alnwick Garden. 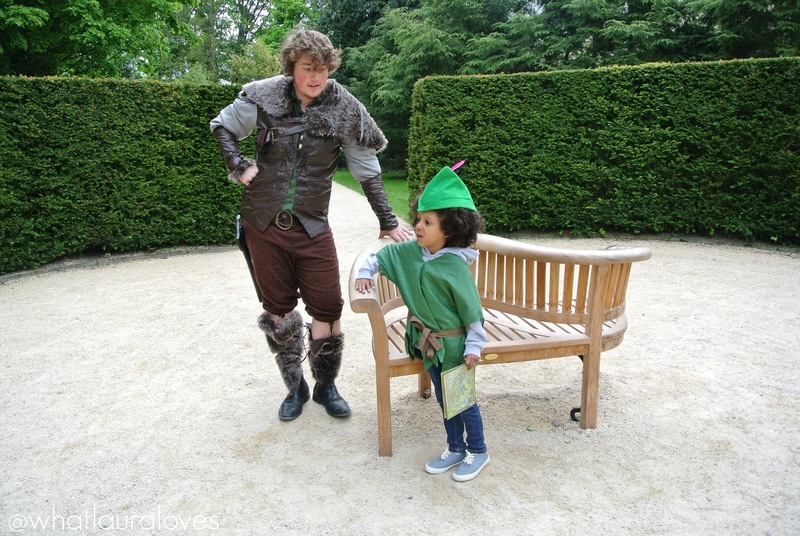 There is much choice available from Robin Hood costumes to kings and princesses. It was so sweet to see all of the little kids walking around in fancy dress. 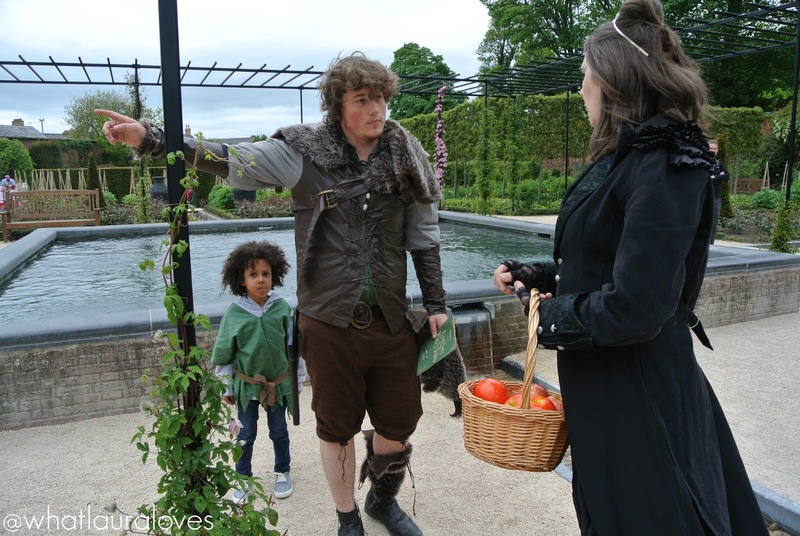 Of course visitors also have the option of arriving at The Garden in their own favourite character outfit if they so wish. 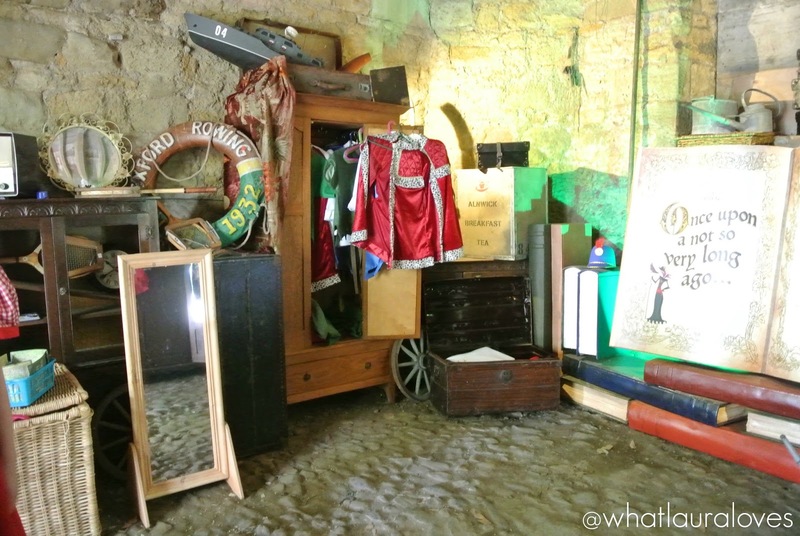 However there are plenty to go around at the attraction, helping to save parents money and time having to sort out costumes. 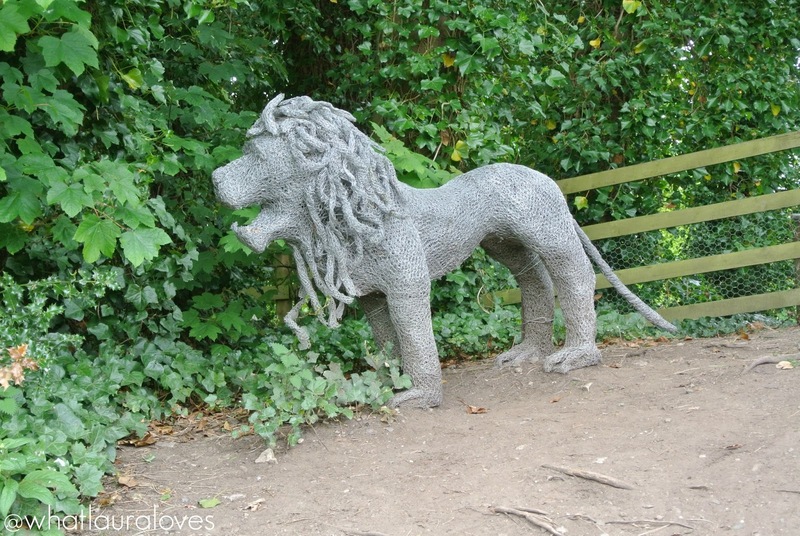 It is here that visitors will start to spot more characters at the attraction. 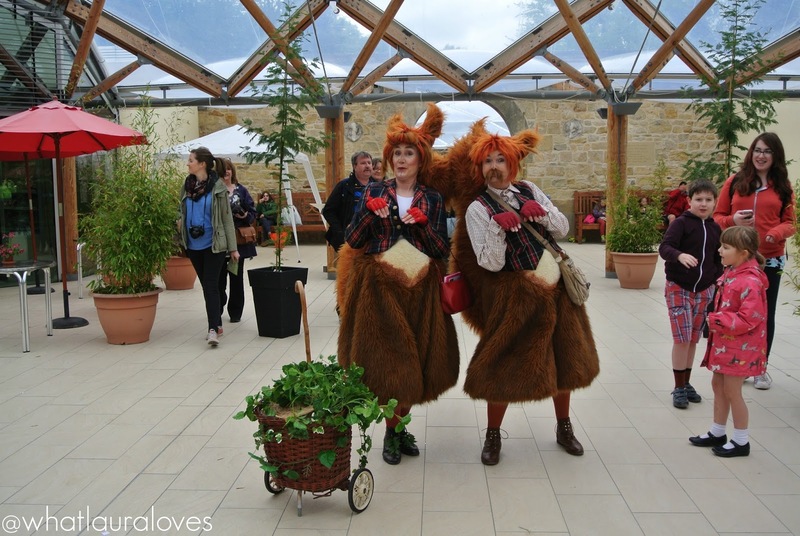 The Alnwick Garden have lots of actors and actresses dressed up as fairy tale characters and they’ve all been trained to closely interact with the children. 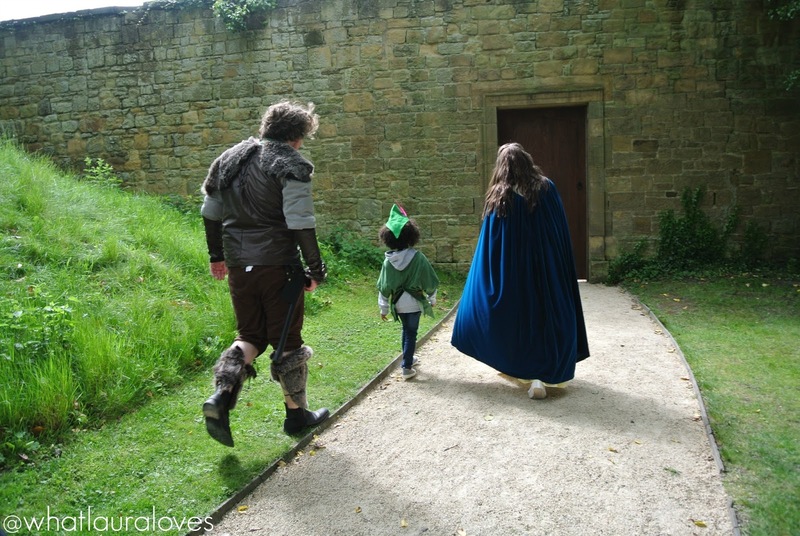 After Carly’s son was transformed into a budding Robin Hood, we set off on our journey, led by The Huntsman. 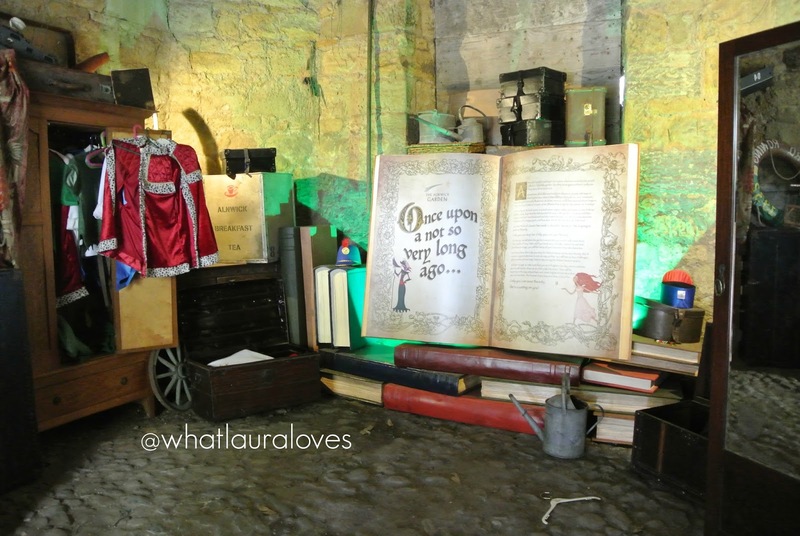 It was here that we needed to use the booklet to solve the clues and answer the questions inside. Further through the garden, we were greeted by the Princess, Beauty, who led us through a little secret door way into a another garden. 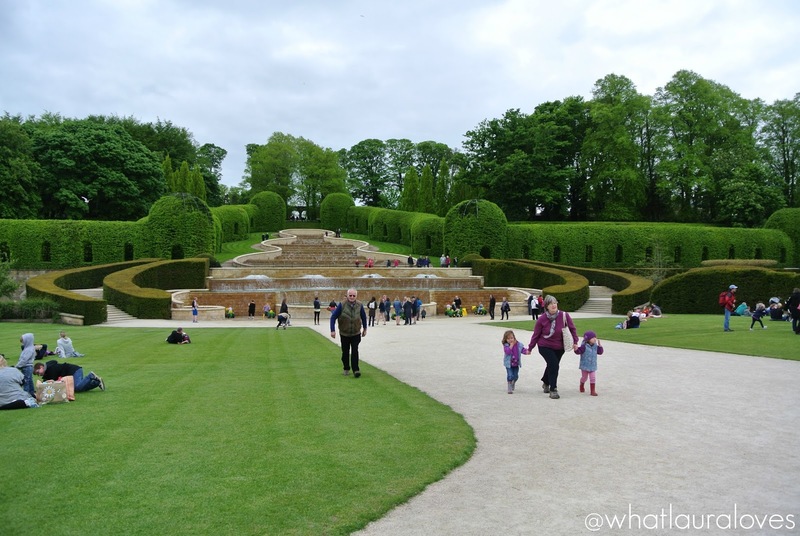 Don’t worry though, The Alnwick Garden is very accessible for all and there’s a big door to go through if you’re not wanting to tackle the little one! 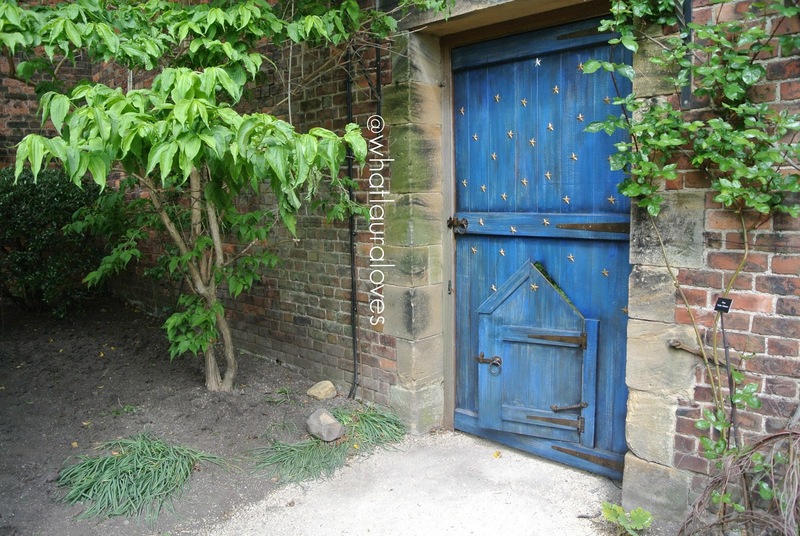 The secret garden inside is so beautiful and everywhere you look, there are magical features to be seen. 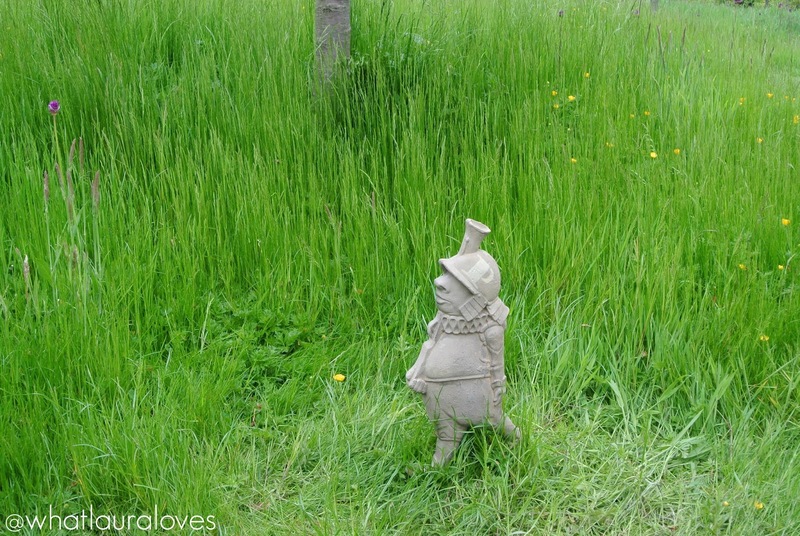 The attention to detail at The Alnwick Garden is amazing and something that everyone can appreciate. 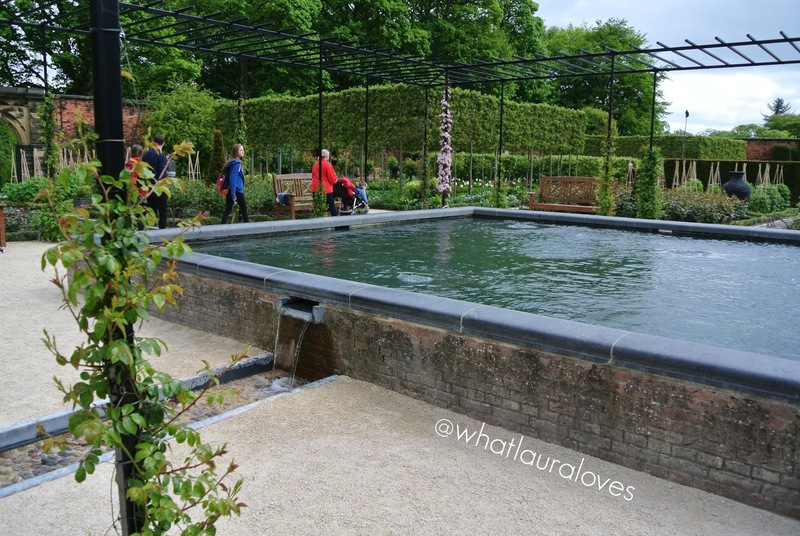 I personally love the way they have incorporated water into the gardens, as it so relaxing and tranquil. 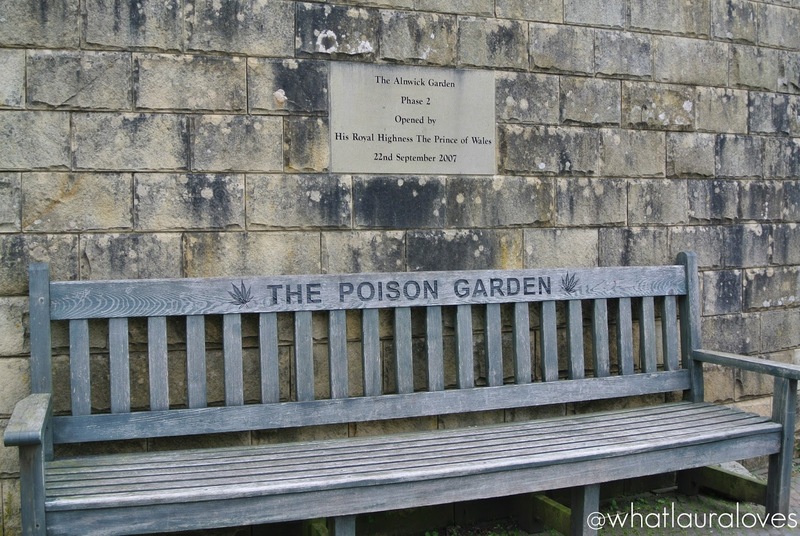 This part of the garden, is where we got to meet The Wicked Queen with a basket of poisonous apples, who never broke her act. 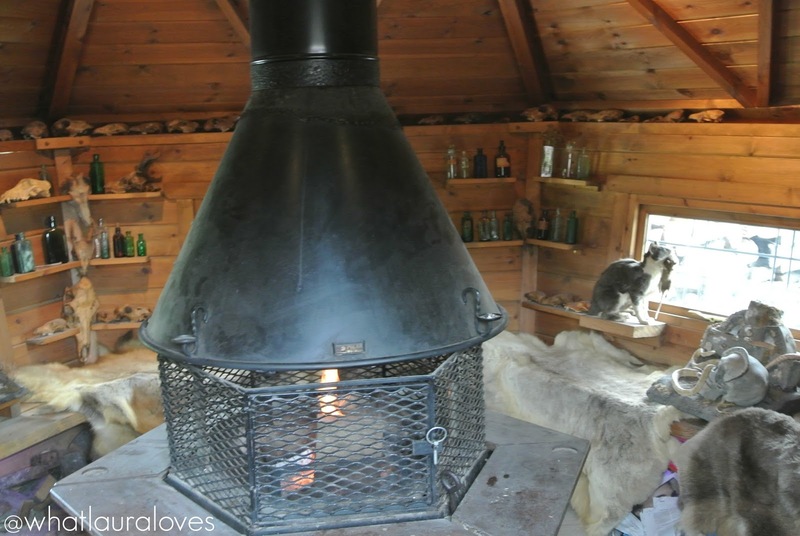 She was alluring and chilling in equal parts! 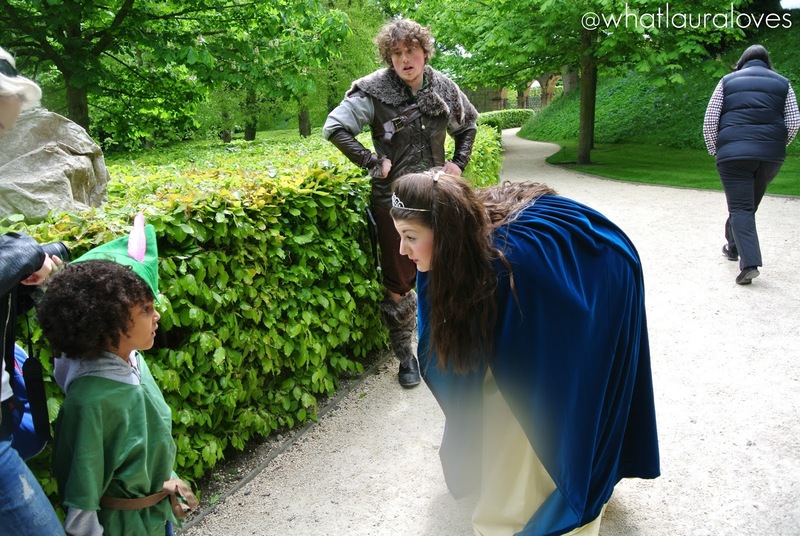 The attraction is very much an interactive experience for visitors young and old and I loved that the actors interacted with adults as much as they did with the children. 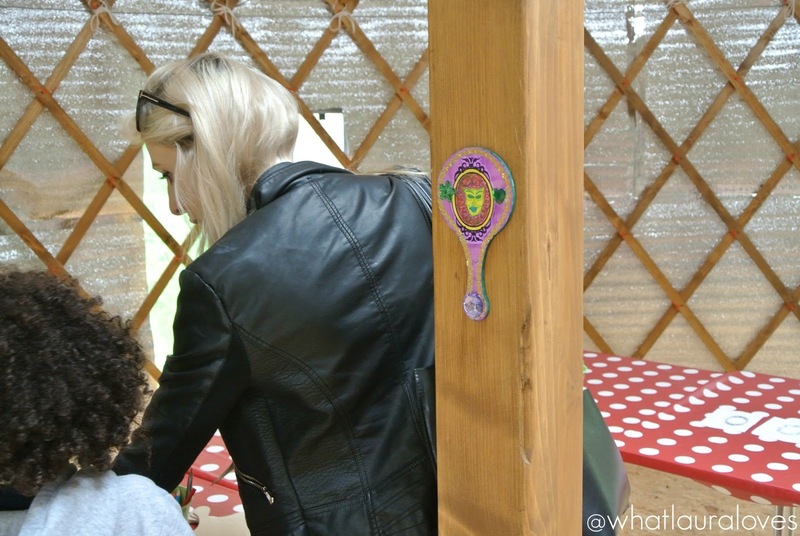 We continued our adventure through The Garden and solved the clues in our booklet along the way. 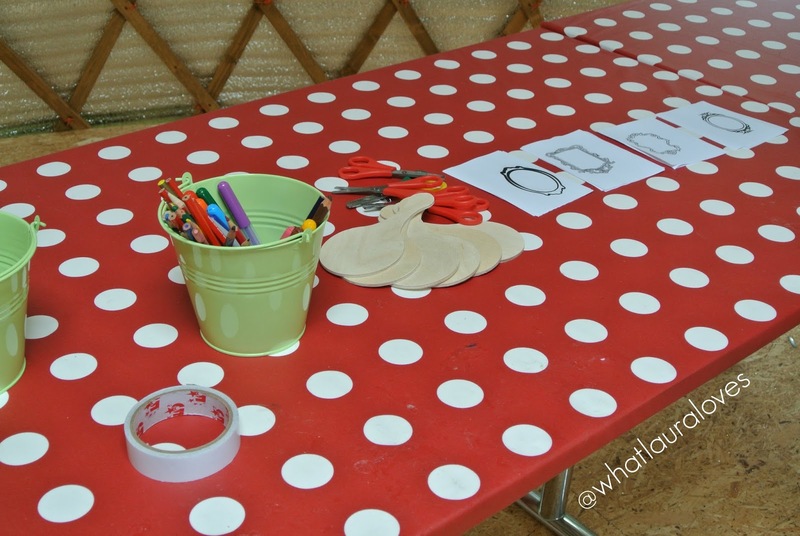 I thought that they would be for kids only but it was great fun to get involved and solve them as an adult and they weren’t too easy; they still got us thinking! 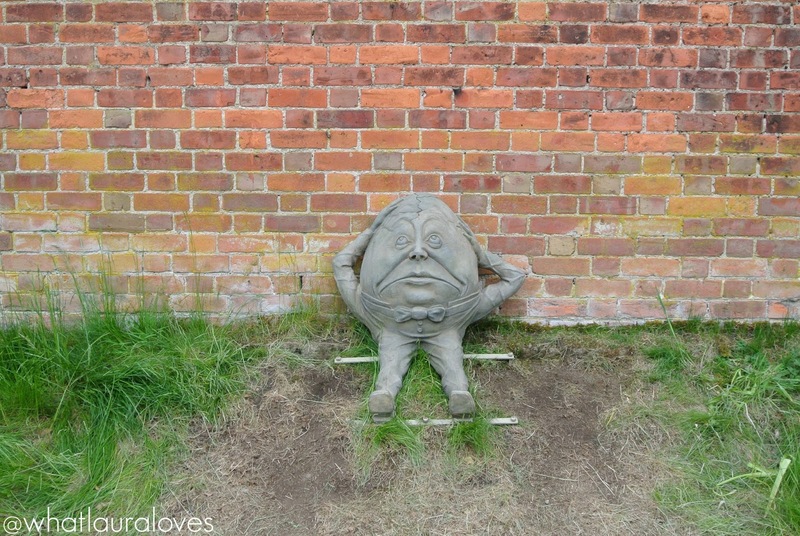 I love that they have included some true classics, such as Humpty Dumpty which I’m sure you can all remember from your childhood nursery rhymes! 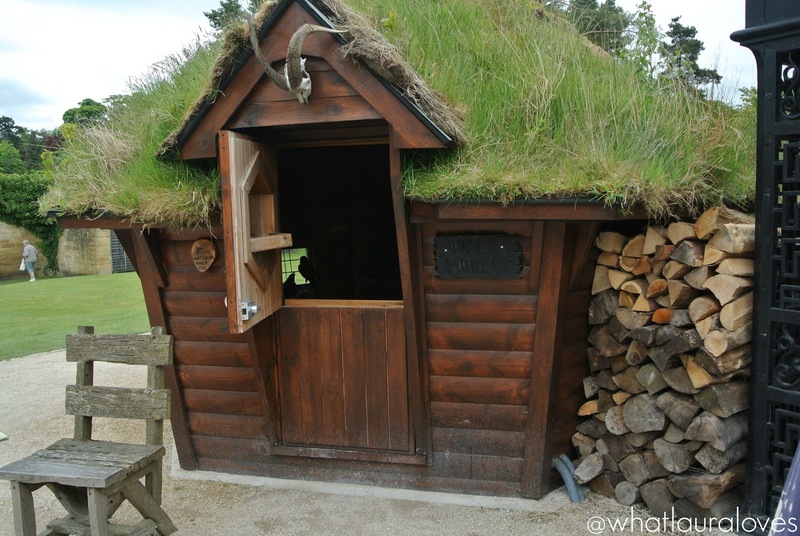 At the end of the fairy tale part of The Alnwick Garden, we greeted at the Crafty Cottage where those who have completed the booklet can go inside to collect a gift and to make their own magic mirror to take home. 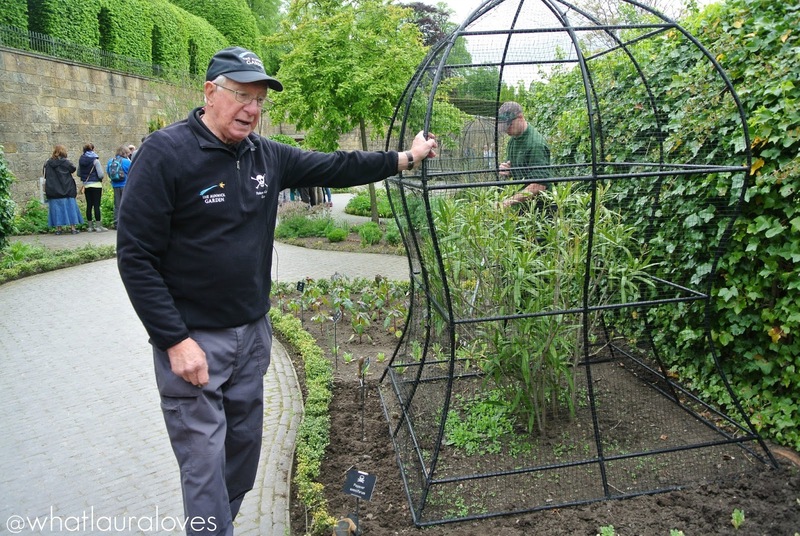 There is still so much more to see around The Alnwick Garden, even when the ‘A Garden Of Fairy Tales’ trail has come to an end. 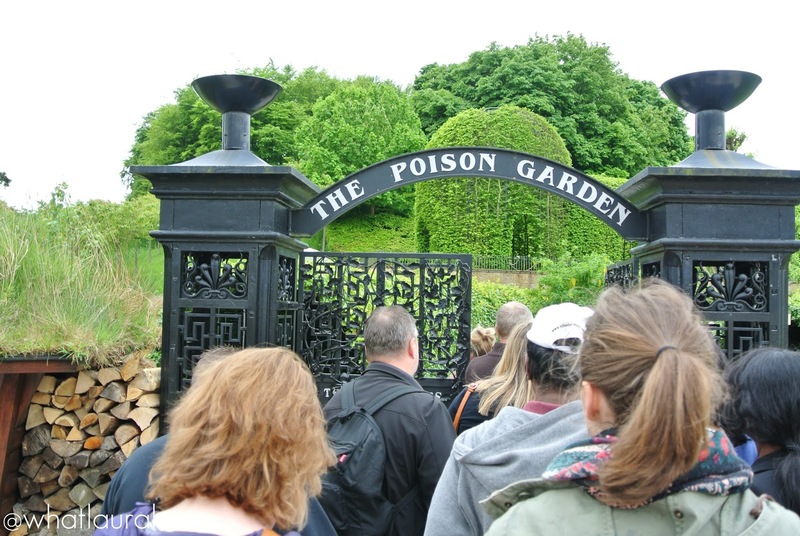 One of the most interesting parts for me has to be The Poison Garden which includes a guided tour of some of the most poisonous and dangerous plants on earth. 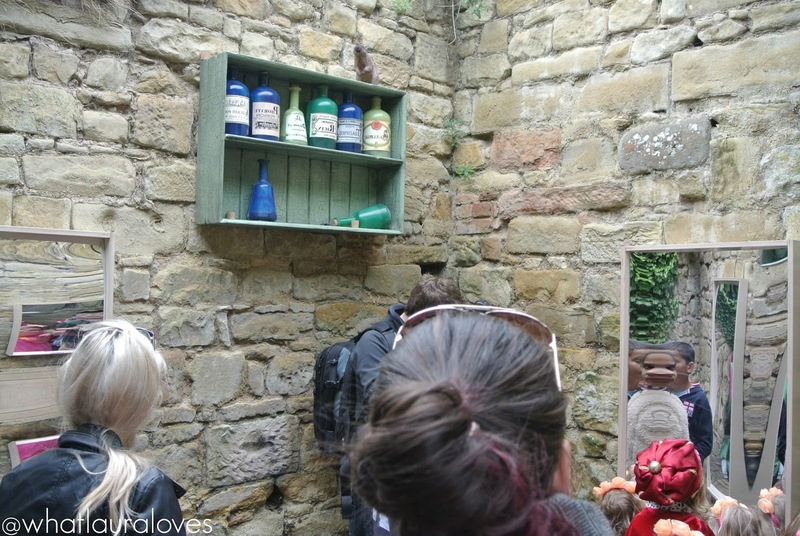 Our guide was incredibly knowledgable and we both found it fascinating to hear about the plants used to treat illness and disease, those used in chemotherapy and those for illicit use! 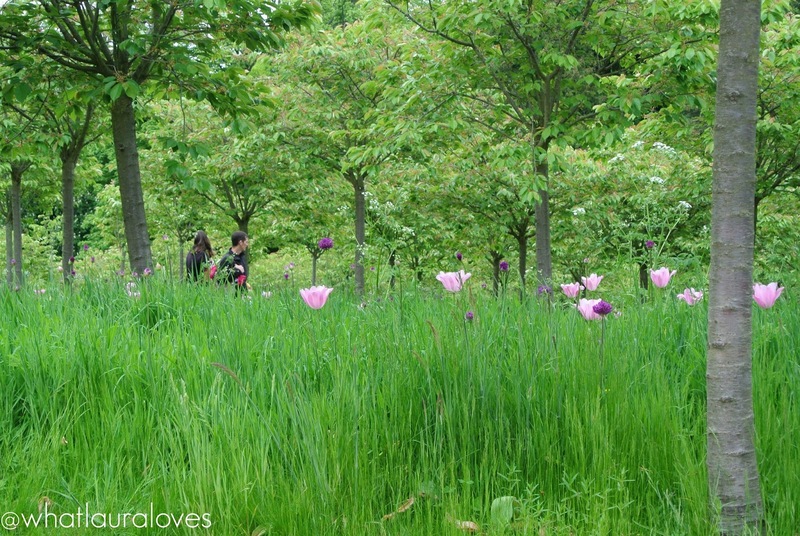 We thoroughly enjoyed our visit to The Alnwick Garden and would highly recommend a visit with your family this summer. There was so much to see and do and our interest was kept throughout the whole trip. 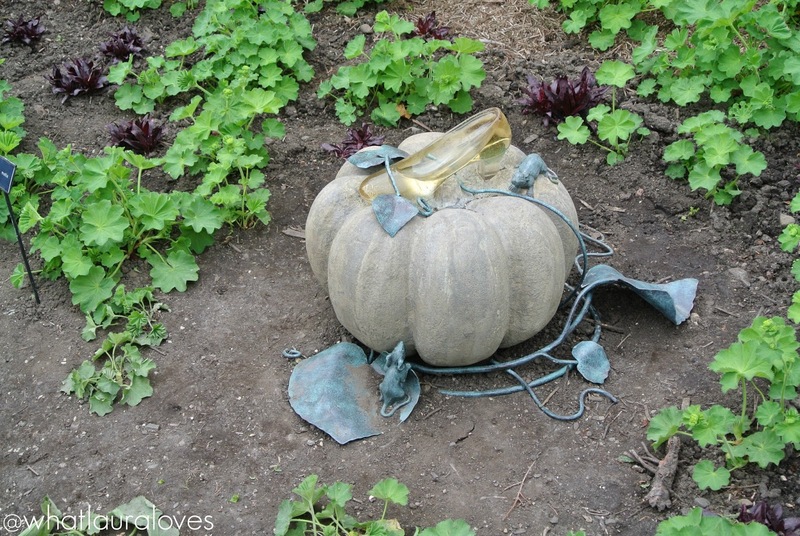 The fairy tale attraction is really fabulous and I love how it evokes so many memories from my younger years. 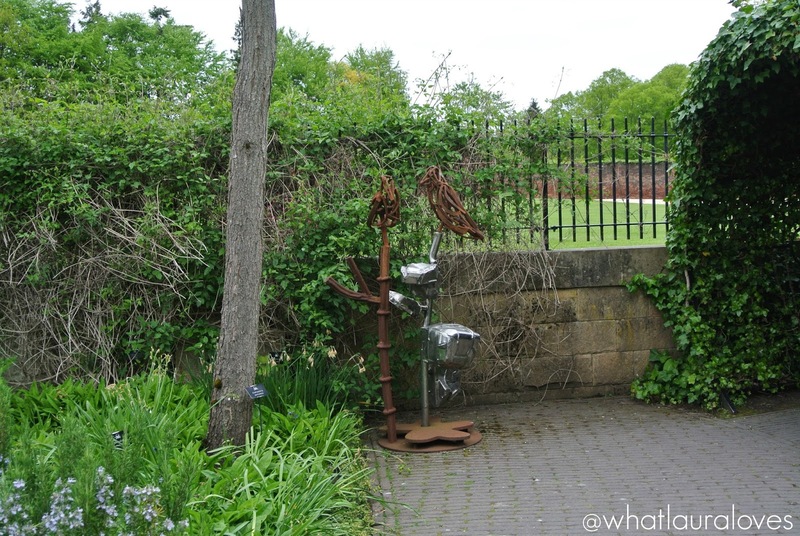 Everyone loves a bit of magic and The Garden was really captivating. 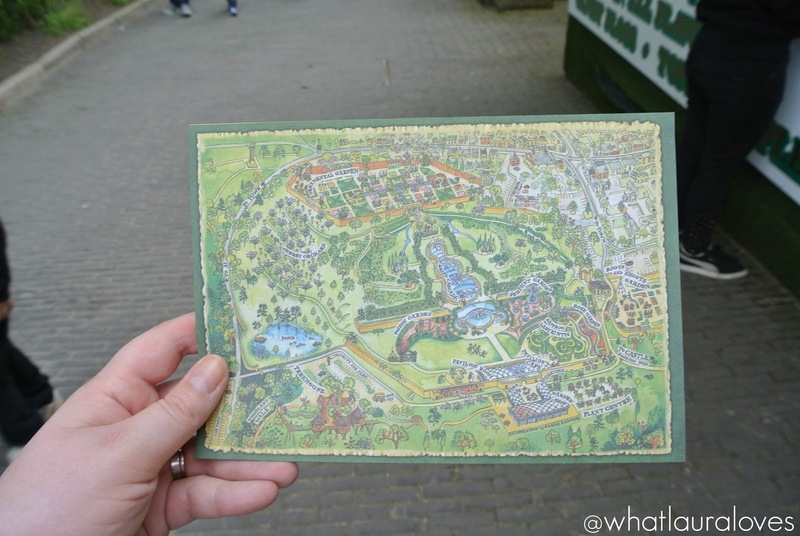 In fact, you don’t even realise how far you’ve walked around The Garden because you’re so involved in solving the clues and spotting magical instalments within the pretty landscape. 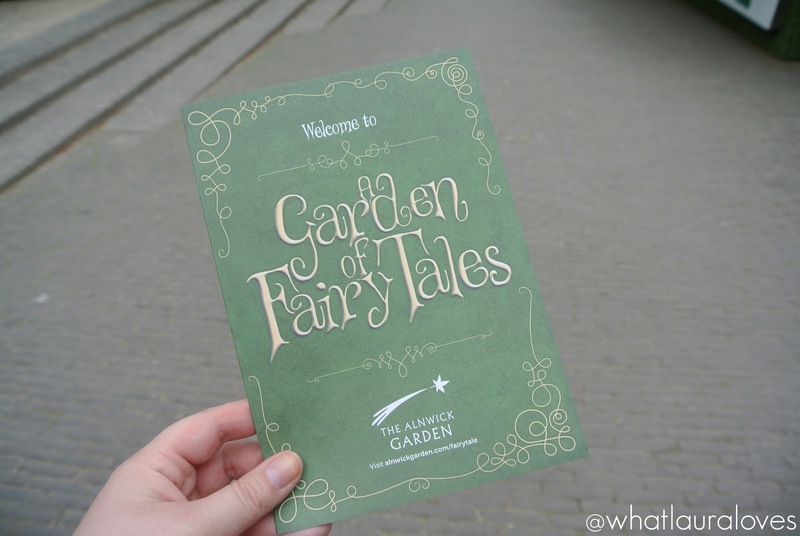 The fairy tale attraction at The Alnwick Garden is very much an experience that all of the family can enjoy however it is very much optional. 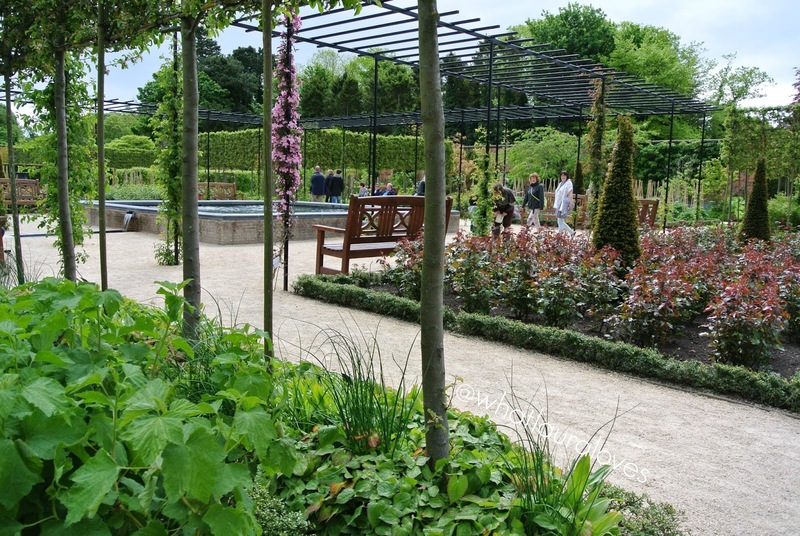 The Gardens can still be enjoyed just as much as they always have been and the attraction doesn’t take over from the beauty of the landscape. 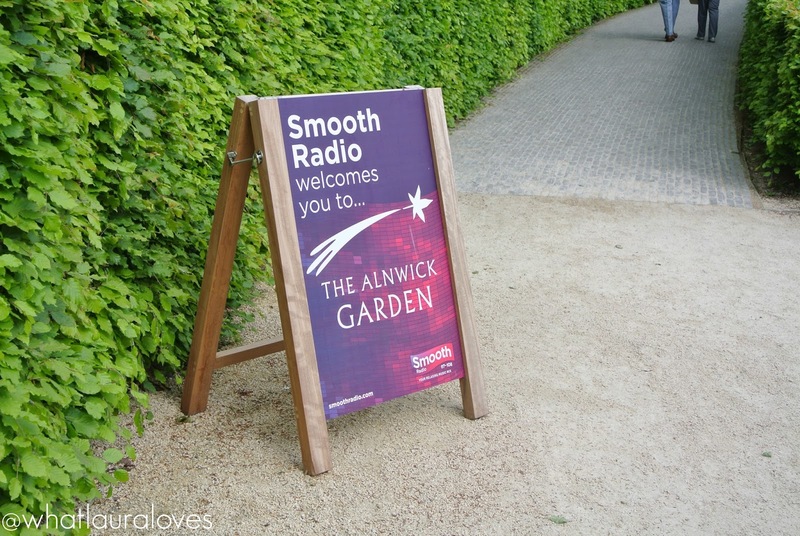 This makes The Alnwick Garden suitable for all and I’d highly recommend it. 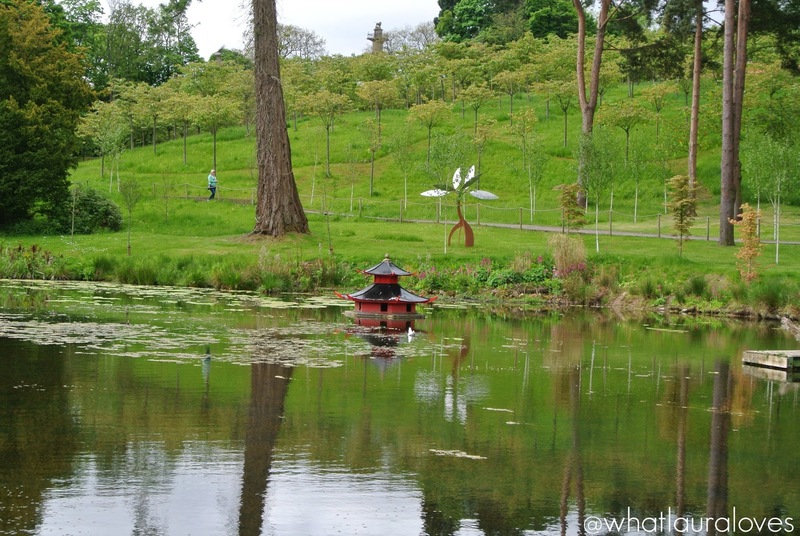 Whether you go to The Alnwick Garden to experience the fairy tale trail or you simply want to enjoy the beauty of the landscape, this is definitely one of the best things to do in Northumberland right now. 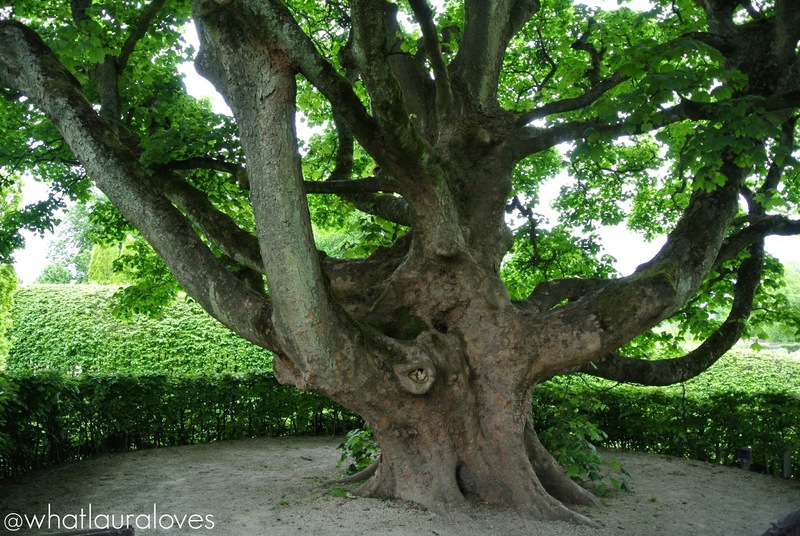 You can find out more on The Alnwick Garden website and join in the conversation on Twitter @AlnwickGarden by sharing your pictures from the attraction and letting everyone know your personal favourite fairy tale character with the hashtag #savebeauty .